I love learning new stuff! (nerd alert!) But seriously, I really enjoy watching people cook and picking up new techniques and ideas – hence my DVR is always full with Giada, Ina, Bobby, Tyler, etc. 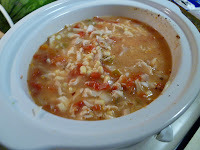 On Sunday my sister taught me an amazing, easy crock pot soup that was perfect for a rainy day, or any day for that matter. 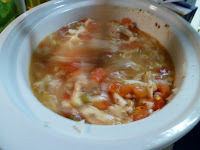 This Tortilla Soup couldn’t be simpler and your house smells so good while it is melding together in the crock pot! 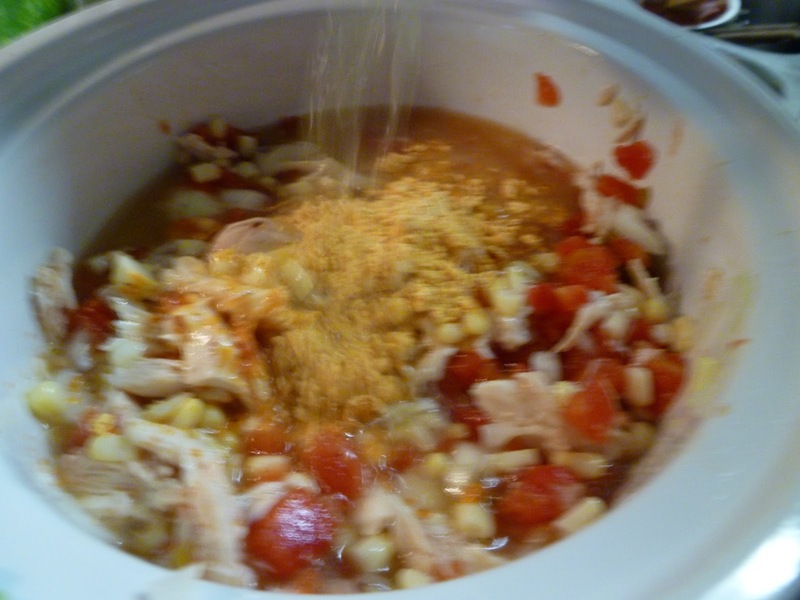 Literally you throw the stuff in the crock pot, let it sit for a few hours and that's it, so easy! 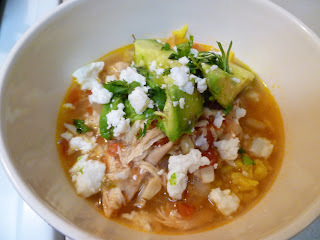 I love to top mine with avocado, cilantro, and queso fresco but use whatever you like or nothing at all. This makes about 5 good servings, so you can feed a small crowd or have leftovers for lunch. Have fun with it and people will thank you worked really hard! Thanks sister for teaching me something new! 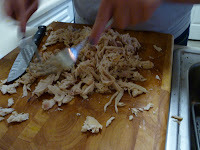 Remove all the chicken meat from the bones and shred using 2 forks. Put chicken and all other ingredients in the crock, stir well and let sit on high for about 2 hours. Reduce to low until ready to eat. Serve with toppings of choice! For 2: Steak Sandwiches for Football! For a Crowd: Pulled Pork Sandwiches, again!